Relocating to the Lake Norman and Charlotte Area? Relocating to a new state or even just a new neighborhood is exciting but can also be stressful. Moving the family, getting the children in school, finding good doctors and a local gym are just a few of the challenges everyone faces when relocating. 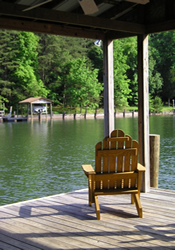 As local REALTORS®, we are very knowledgeable about helping you to deal with all of these challenges and can provide you with information about a variety of communities in the Lake Norman and Charlotte areas and much, much more. We can help you whether you are a first-time home buyer, a retiree, or looking for that special investment property. Please fill out the form below and we will get your home search started and send you a customized relocation package with information on the area.